Basically, when you apply for ICAN, you will be provided with the student's handbook. The guide below will be contained therein. However, you don't want to wait for a handbook before you know what is ahead of you and make your decisions as rightly. 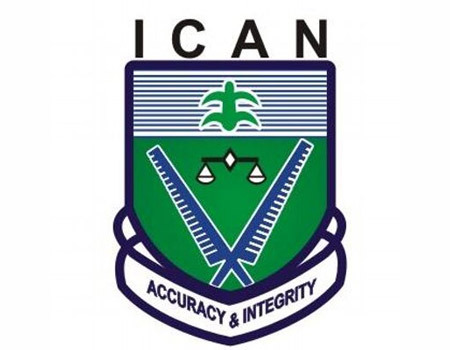 Below is a quick guide to applying for ICAN ATS, Professional Exams, Fellow and Associate Members. Five (5) credits passes including English Language and Mathematics in the West African School Certificate Examination, General Certificate of Education or Senior Secondary School Certificate Examination in not more than two sittings. National Certificate of Education (NCE) from any College of Education. Any other relevant qualification approved by the Institute. Candidates who wish to write the examination should first register as a student. Registration is now online. A sum of seven thousand naira (N7,000) should be paid as ICAN registration fee to any of the designated branch of Zenith bank listed below, obtain a pin voucher. The voucher contains a pin code that would give you access to complete a registration form at the website address indicated on the PIN Voucher. A hard copy of the completed form must be accompanied with copies of credentials certified by a Financial Member of the Institute. This should be forwarded to the Institute’s Annex Office at 82, Murtala Mohammed Way, Ebute-Metta. N2,000.00 with a sworn affidavit each for replacement of loss of Registration and Exemption certificates. N1,500.00 for replacement of lost Syllabus or fresh purchase of syllabus. All students are required to pay an Annual Subscription of =N=2,000.00 at the beginning of each year. A sum of six thousand naira (N6,000) should be paid to any of the designated branches of Zenith bank list on the last page of this document to obtain a pin code. The pin code is to give you access to complete a registration form. Completed registration form must be accompanied with copies of credentials certified by a Financial Member of the Institute. N1,500.00 with a sworn affidavit each for replacement of loss of Registration and Exemption certificates. N1,000.00 for replacement of lost Syllabus or fresh purchase of syllabus. All students are required to pay an Annual Subscription of =N=1,500.00 at the beginning of each year. The ATS Examinations takes place in March and September each year. Dates of examinations are advertised in the national dailies and appropriate forms are obtainable at some designated banks after paying the stipulated fees. The examination is divided into Parts I, II and III. Each part is made up of four (4) subjects. Only registered students can apply for exemption from some parts of the ATS Examinations. Relevant qualifications may be considered for exemption, however, details of these are given in the ATS Regulations and the Syllabus Handbook. The examinations are normally held throughout the country in the following centres: Abeokuta, Abuja, Ado-Ekiti, Akure, Benin-City, Enugu, Ibadan, Ilesha, Jos, Kaduna, Kano, Lagos, Maiduguri, Owerri, Port-Harcourt, Sokoto and Warri. Candidates stand to gain the following after qualifying as ATS graduates. They will be formally admitted as Associate Members of the Association of Accounting Technicians Scheme and use the title AAT after their names. Their qualification is recognized by employers. They may enroll for an HND or B.Sc. programme in Accountancy in some higher institutions of learning. They are permitted to enroll for the Institute’s Professional Examinations. The degree of any University or Higher National Diploma of any Polytechnic recognized by the Council of the Institute. Any other qualifications hereafter to be approved by the Council of the Institute. The final examination of the Institute of Chartered Secretaries and Administrators (ICSA). The final examination of the former Corporation of Secretaries. The final examination of the Association of International Accountants (AIA). The registration procedures are similar to (ATS) procedures. When the registration form is unsuccessful, it may be returned to the candidate who will be advised on what to do. Professional examinations are conducted in May and November each year. Any candidate who is not duly registered as a student will not be eligible to sit for any part of the examination. Candidates are expected to pass each stage of the examinations in full before proceeding to the next stage. Examination duration is 10 years from date registered. The examinations are normally held throughout the country in the following centres: Abeokuta, Abuja, Ado-Ekiti, Akure, Benin-City, Calabar, Enugu, Ibadan, Ilesha, Ilorin, Jos, Kaduna, Kano, Lagos, Maiduguri, Onitsha, Owerri, Port-Harcourt, Sokoto, Warri, Uyo and London (UK). Details of the syllabus are available in the Regulations and Syllabus Hand-book issued by the Institute. Candidates are eligible to be admitted as Associates after they have successfully completed all the stages of the examinations. Successful candidates are formally inducted at a ceremony presided over by the President of the Institute and Chairman of Council and thereafter use the title "ACA" Associate Member of the Institute of Chartered Accountant, after their names. To be a Fellow of the institute, Associate Member must have been in professional practice for a minimum of five (5) years or in other jobs for ten (10) years. Only registered students can apply for exemptions. Exemptions from parts of the Professional Examinations are granted to candidates who have obtained recognized accounting qualifications from universities and polytechnics. Other relevant qualifications may be considered for exemption on a subject-by-subject basis. Details of these are given in the Regulations and the Syllabus Handbook. Exemptions are also granted to candidates who have obtained professional qualifications in other disciplines burt wish to pursue a career in accountancy. Each case is considered on its merit. There is also a conversion programme for foreign students of ACCA and CIMA who have not completed their career but wish to convert to ICAN. All enquiries should be sent along with the application for exemption after registration as a student. If this guide has not addressed your concern, check ICAN answers to students' questions.